She is beautiful, she is smart, she is kind, She is a bloody rare find. But she is dead now . . . And those doe-like wonderful dark brown eyes no more offer warmth or love. The ruby red of those lips is now a cold blue. And the curve of that body is now frozen in rigor mortis. What happened? 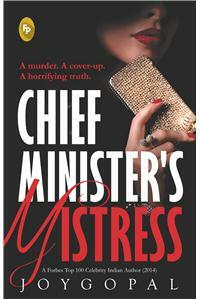 Who killed her—the chief minister’s secret mistress?